When you are investing time and money into a place to live you must obtain insight into its general condition. Do its major components work? Are there safety hazards needing fixed? What’s the age of the dwelling’s systems? Are there repairs needed that could lead to bigger problems? What are the positive characteristics of the property you are investing in? By gaining these insights you will have the necessary facts needed to make an informed buying decision! When you are selling your property, before you list it for sale, get a home inspection. An inspection will let you know about deferred maintenance, big ticket items such as roof condition, furnace and electrical conditions, foundation problems, plumbing issues etc. Having awareness of these issues can help you make decisions for pricing your home, repairs and negotiations with buyers. Having your home inspected before you sell makes the sale process run smoothly so you do not have big surprises from a buyer’s inspector. Click on a service to learn more about it and what goes in our report. Termites can cause damage. Would you know what you’re looking for? Spradling Home Inpections will schedule a termite inspection during your home inspection at your request. An independant company is used. Call and ask about a termite inspection. The interior surfaces of your house hold clues to its over all condition and safety. Our trained inspectors can spot safety issues in areas where most home owners do not go. They can also point out items that should be fixed. A bare bulb lamp holder should be replaced with an approved fixture. Hot bulbs in contact with stored items can lead to fire. Mold behind wall paper indicates leaks and moisture issues. Rodents chewing through wiring causes exposed wiring and can cause fires in attics. Moisture trapped between panes of glass indicate a failed thermal seal. 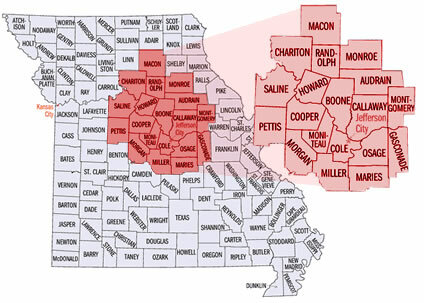 There are many areas assessed for electrical. For your safety our certified home inspectors assess the service entrance from the masthead to the main electrical panel, main panels and sub-panels, branch circuit wiring and junction boxes, outlets, and fixtures. Checking for wire grounding and voltage capabilities is also notated. This is an example of problems with double tapping. Insulation has melted, luckily no house fire (yet). Here a hot wire is nearly in contact with a metal duct. This is life threatening safety hazard. Double tapped wires can overload a breaker or fuse and raise the risk of fire. Not a recommended practice. Buried knob and tube wiring with handy man splices can cause your house to burn down. Knowing the condition of your roof is important in maintaining a dry, structurally sound interior. Our certified home inspectors are capable of evaluating all types of roof materials and components. Three layers of shingles is an extreme weight for the roof structure. Cupping shingles means worn out shingles. Old, damaged, or missing flashing leads to water leakage. Hail damage decreases the life span of your roof. To keep your home dry and hazard free our certified home inspectors will inspect the water supply entrance, supply distribution piping, fixtures, faucets, drains, waste and vent system, hot water system, distribution piping, and sump pumps. TPR valve extension piping has been minimized, this is a safety hazard. TPR extension not approved material and not rated for heat or pressure. Duct tape can not fix everything. The toilet drain line will soon leak again. Prolonged leaks can cause mold, mildew and structural damage. This is a water damaged wall. The conditions of the exterior of your home seals out weather, insects and other vermin. The condition of siding, windows, doors, trim and caulking is important in maintaining a safe and healthy environment in the home. Lot grading and drainage is reported to gain understanding of how surface water may affect the foundation. 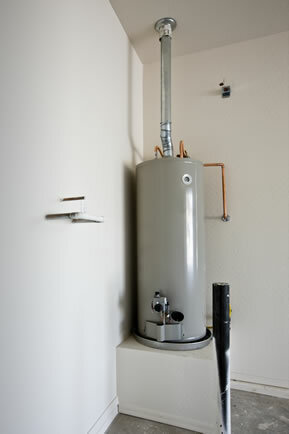 An unlined flue can lead to carbon monoxide poisoning. Settled sidewalk slabs are trip hazards. Trees growing too close to the foundation can cause cracking in the foundation. Twisted deck posts can lead to the collapse of a deck. HeatingThere are generally two types of home heating – central heating and area heating. Since there can be many safety concerns when heating your home it is important to have all areas of your home’s heating components checked. Our certified home inspectors will check your heating equipment’s operational status and safety controls, combustion product disposal systems (venting), the distribution systems, and the available heat source per room. It is great to be feeling cool in the middle of a hot summer! Our certified home inspectors will make sure that all your cooling equipment’s operating controls, distribution system and cool air source is working properly. To avoid damage to the outside compressor the air conditioning unit is not tested when outside temperatures are below 60 degrees. Would you have found the furnace filter and a board leaning against the furnace fan? This will damage the motor on your furnace. Flammable material (duct tape) on duct work can cause fire and smoke damage. Flexible gas supply line should not pass though the sheet metal cabinet of a furnace unprotected. Safety of gas fired furnaces is checked to be sure there are no gas leaks or carbon monoxide problems. The conditions of the structural members of your home are what hold your home together. The foundations, floors, walls, columns, ceilings and roof structures will be assessed. Our certified home inspectors are able to note details and clues which indicate the condition of the framework of your home. A corner foundation crack is a sign of foundation movement. Cut floor joists are much weaker and can be dangerous. This joist is directly on top of the gas line. The structure of this house has settled and is resting on the gas line. Large cracks in foundation can indicate foundation failure.